Robertson was a promising young player in Celtic's academy but was released by the Scottish giants at the age of 15, later revealing he had been told they considered him "too small" to make the grade. The left-back was picked up by Queen's Park's academy and, after impressing in the youth ranks, made his senior football debut for the Division Three side in July 2012. There were reportedly just 372 in the crowd at Berwick Rangers' Shielfield Park ground to see Queen's Park win that Irn-Bru Cup tie on penalties - and few in attendance would have believed they were watching a future Champions League finalist. The next month, Robertson, aged 18 and working full-time in the Hampden Park offices, posted a now famous tweet about his frustrations with life playing amateur football - but his performances on the pitch soon attracted attention. Scottish Premiership side Dundee United followed up their interest in Robertson and he went straight into the team for their 2013/14 season opener against Partick Thistle. He had become a fixture in their line-up, with his performances in the top tier earning him a Scotland U21 call-up in October before a full national team cap arrived in March 2014 away to Poland. Robertson's season got even better in April 2014, when Dundee United beat Rangers at Ibrox to reach the Scottish Cup final and he was named SPFA Young Player of the Year and selected for the PFA Scotland Team of the Year at the end of the campaign. "It has been a rapid step up for me but I always knew I had it in me," he told the Daily Record in December of that season, although even bigger tests would be on the way. It cost Hull City just £2.85m to secure Robertson's signature in July 2014 and he hit the ground running for the Premier League side, picking up the club's player-of-the-month prize in the August before scoring his first Scotland goal in a 3-1 defeat to England at Celtic Park three months later. He made 24 appearances in England's top flight in that 2014/15 campaign, and, with his reputation continuing to rise, Robertson played a key role in the club's immediate return to the Premier League the following year. The full-back made 42 appearances as Hull City secured a fourth-place finish and started their play-off final win over Sheffield Wednesday at Wembley. After another tough season in the Premier League, Hull City were relegated again in 2016/17, but Robertson had made his mark and earned his chance to show what he could do at one of the country's biggest clubs. Signed for £8m and initially seen as an understudy to first-choice Alberto Moreno, Robertson applied his familiar work ethic at Melwood and then seized his chance in December 2017 when an injury to his Spanish team-mate created an opening. He didn't look back, with his energetic style fitting perfectly into Jurgen Klopp's system, and, five years after those early days at Queen's Park, Robertson walked out in a Champions League final against Real Madrid. 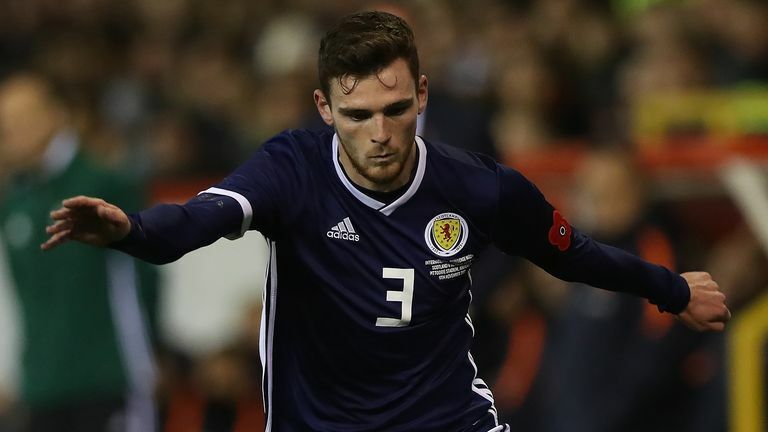 Now integral to club and country, Robertson still has plenty of challenges ahead, with major silverware and a major tournament trip with Scotland his goals. Given his journey so far, no one will be writing off his chances of achieving those feats now.